This is the fourth part in our Wedding Cakes 101 series. When planning your wedding, choosing your vendors can be a stressful process. You want to find high quality services that are within your wedding budget. 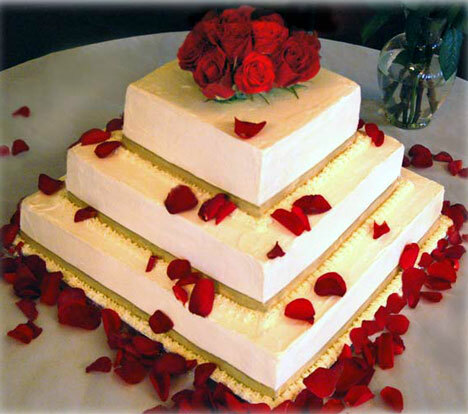 The wedding cake is oftentimes the focal point of a wedding reception, so you want it done right. Here are twenty important questions to ask a potential wedding cake designer before making your decision to contract their services. Who will be baking/decorating our cake, and how many years experience do they have? Do you offer a free tasting so that we can try the various cake flavors and fillings? Do you do custom wedding cakes or just offer a set number of designs to choose from? Do you have a photo gallery or album that we can browse? What ingredients and icings do you typically use? Do you offer a flat charge per slice? Is there an additional fee for special fillings, flavors or other details? Can I add fresh flowers on our wedding cake and can you coordinate with our florist? How many cakes does the shop do each weekend? This will give you an idea how popular the designer is and how much time they put into each cake. How long before the wedding will the cake be prepared? Do you deliver, and does delivery and set up cost extra? 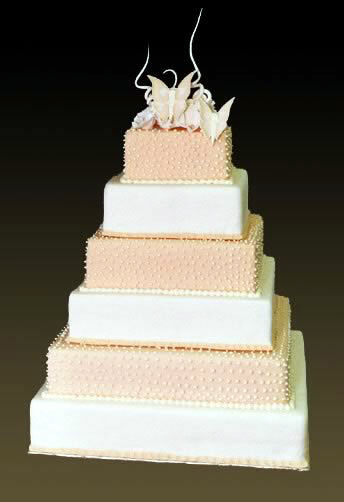 Do you offer or rent cake stands, tiers, cutters and toppers? Is the price for these items included in your quote? Do you have a standard "menu" of prices? Can you provide a detailed written proposal? Can you offer any suggestions to help maximize our cake budget? How much is the deposit and when is it due? How long before the wedding do we have to pay off the balance? What is your refund policy if we need to cancel? Do you offer any sort of guarantee or refund if we aren't happy with the cake? Last and certainly not least: Can you supply references from other brides? Many of these questions can be asked on the phone as you narrow down your choices. (plug: or, you can pose these questions to the vendors when you make your service request for cakes on our WeddingRequest.com :-) -ed.) Once you visit the cake shop, you can ask the remaining questions to help you make your decision. If the cake designer tries to rush you or isn't willing to answer all your questions, don't be afraid to move on. 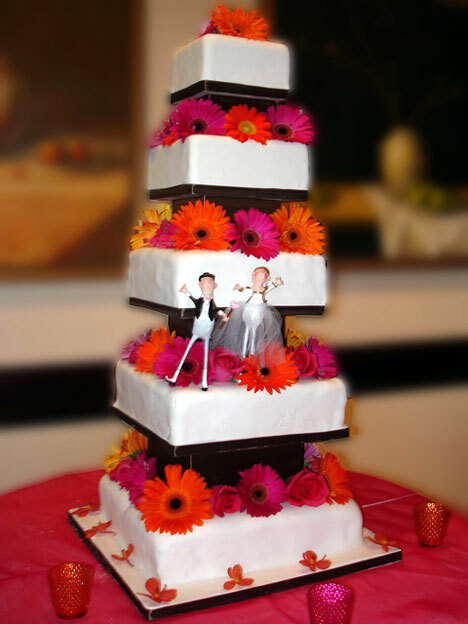 You need to feel completely comfortable that the designer and staff are suited to handle your wedding cake.